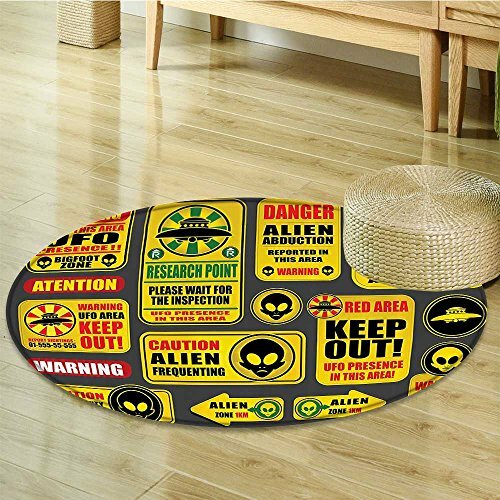 Multipurpose : Circular rugs for Children's roundness Tent, living room,kitchen,dinging roon bedroom etc. Feels soft under the foot and vivid colors won't fade over time. This rug will instantly add fashion to any room's decor. This rug features trendy colors as well as its design.